This is not an isolated case associated with iOS 11 and 12. Basically, for most users, it is only a charger issue. Changing the cable will fix it but if your problems go deeper than that, you need to go through the following solutions to get it fixed. 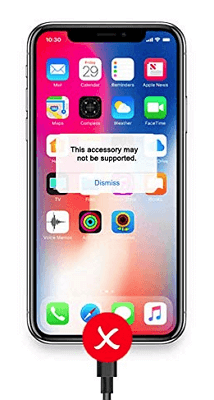 If your iPhone is saying this accessory may not be supported when you are trying to charge the device, there is great chance that the issue is caused by a defective charger. So, the very first thing you should do is to inspect the charger thoroughly. If any physical damage is visible then you may have found the cause but if there isn’t any visible damage, you need to look further into software glitches. Clean the charger and even try to charge the device using other chargers. If your iPhone does not say charging is not supported with this accessory on other chargers then it is a definite issue with the charger. You need to replace it immediately. Suppose you didn’t try to out different chargers on your iPhone, instead you used the same charger to charge a different device and it is working. Then, the problem must be with the device itself. First, you need to check the Charge Port on your iPhone. It is possible that because of too much dirt the charger is not connecting properly. So, get a small brush and clean the port properly. It is possible all this might be due to a clogged port and cleaning it would fix the issue instantly. Step 1: Tap and hold the Side key along with the Volume Down key to get hold of the Slider. Step 2: Slide to turn off. Step 3: Tap the Side key again to restart the device. Step 1: Press and hold the Power button only for a few seconds and then the Slider will appear on the screen. Step 2: Swipe it and the device will be turned off. Then, press and hold the Power button again to turn it back on. When your device completely turns off, wait for a while and press the Power button to wake it up. Upon, if restarting the device does not get the issue fixed, then you need to use the next solution. It is also possible that updating the iOS will fix the issue, of course, if it a software issue. You can look for available updates and if there is any. Generally, there are 2 ways to update the device: via OTA or iTunes. Step 1: Try to connect the device using the USB cable provided by Apple, it will work faster. Step 2: iTunes will detect the device immediately, run the app. Step 3: Go to “Summary” and click on “Check for Update”. Step 4: Then, click “Download and Update”, you may have to provide your password. iTunes will start updating the iOS immediately to the latest version. Be sure to make the backup of the device before starting the update. If the issue was iOS related then it will get fixed immediately after the update. Step 1: Download and install the program and then launch it. Step 2: Select the “Standard Mode” and connect your iPhone to it. Click “Next”. Step 3: Then, it’s time to download the firmware. iMyFone Fixppo will search the internet and provide you with all the available firmware, you just have to choose the right one and click “Download”. Step 4: After the download, click “Start” to fix the iOS issue. When the repairing process completed, your iPhone will reboot and get back to normal. 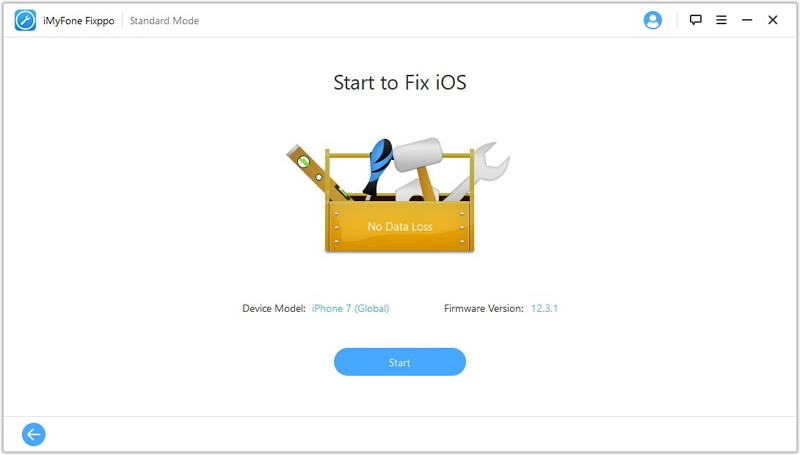 You don’t have to go through any trouble if you use this recovery tool to fix the accessory compatibility issues, a few simple clicks and the iPhone will be fixed. Even if you are using a top of the shelf device like iPhone you are not immune from facing difficulties regarding the gadget. But if you have a program in your hands that can literally fix almost any problems with the iOS, it will make the burden a bit lighter. The other fixes are also good but they are more suitable for minor issues. If you cannot get the problem settled, leave that to iMyFone Fixppo. Highly recommended!